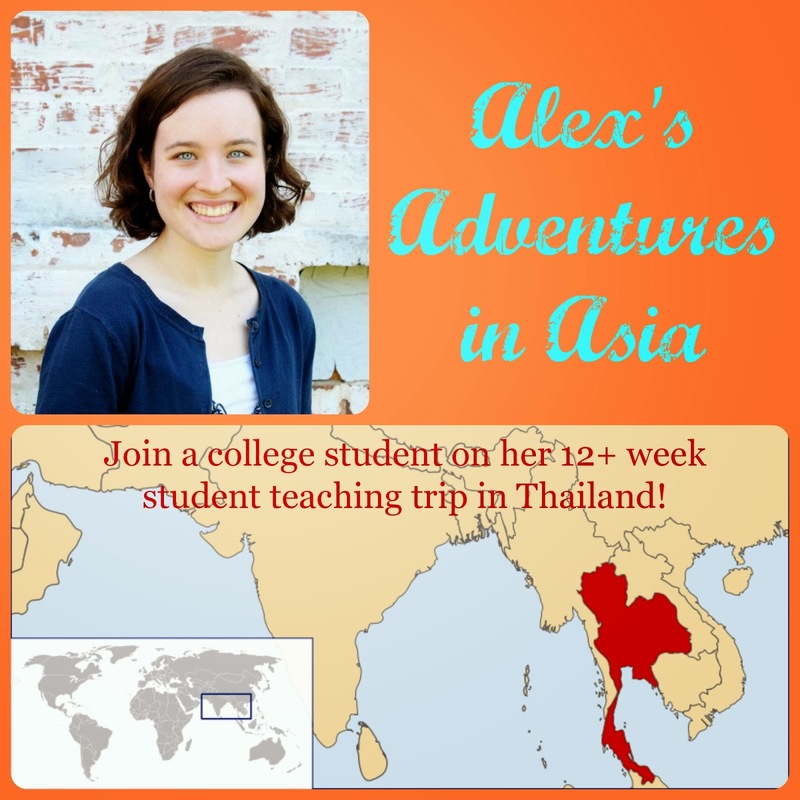 Join a college student as she embarks on a 12+ week student teaching trip to Thailand. They say that your first class stays with you. I spent three months student teaching high school English to sixty-six teenagers from over six countries. It was incredible and I wouldn't trade it for anything. My only regrets are that I didn't travel within Asia and that I struggled with forming good relationships with my older students. Living and working overseas is incredibly challenging, and I saw this firsthand while living in Chiang Mai for three months. I think that student teaching overseas gave me the skills and confidence to embark on future expeditions, such as full-time teaching in a public school in the states, living on my own, forming professional working relationships with others, potentially moving overseas longer term in the future, and other life adventures. I have been offered and accepted a position teaching Elementary English as a Second Language with a public school district, and I am excited for this next challenge. I would not be here if it weren't for Chiang Mai. Thank you, Thailand, my students, my friends, my roommates, my cooperating teachers, and the school staff for everything. I'm so blessed to have known you. The relationships truly were worth the goodbyes. And the hellos. "Seek Him. Be Here. Be His." As of today, I have been back in the states for almost two weeks. It has been a crazy two weeks, that's for sure! Thank you so much for all of you who are already (and still) praying for me and keeping me in your thoughts, as I need them for my upcoming major student teaching assignments. In the mean time, let's talk about re-entry shock. I want to be gracious and understanding towards people who inadvertently ask me this question. At least they're asking, right? On the other hand, having to find a way to answer this tactfully makes me feel as if the person asking doesn't really care about my experience. I have to determine how much to share with them, how much to entrust them with. Let me clear up a couple things: It's Thailand. Chiang Mai, Thailand. And it is. Not was. The country hasn't fallen off the edge of the earth. And it is not just a country, it's a culture. A way of life. It's people with goals for the future and a rich heritage in their past. It's where half of my heart lives. Sixty-six beloved teenagers and a host of colleagues and friends whom I love call Chiang Mai home, at least for a time. God was working there before I went and He is working there still. He is working in the lives of missionary kids whose families are stationed there and He is using them to show love to his Thai, Hmong, Lao, Karen, Lisu, Lahu, and expatriate children, as well as those who live in various other Southeast Asian countries. 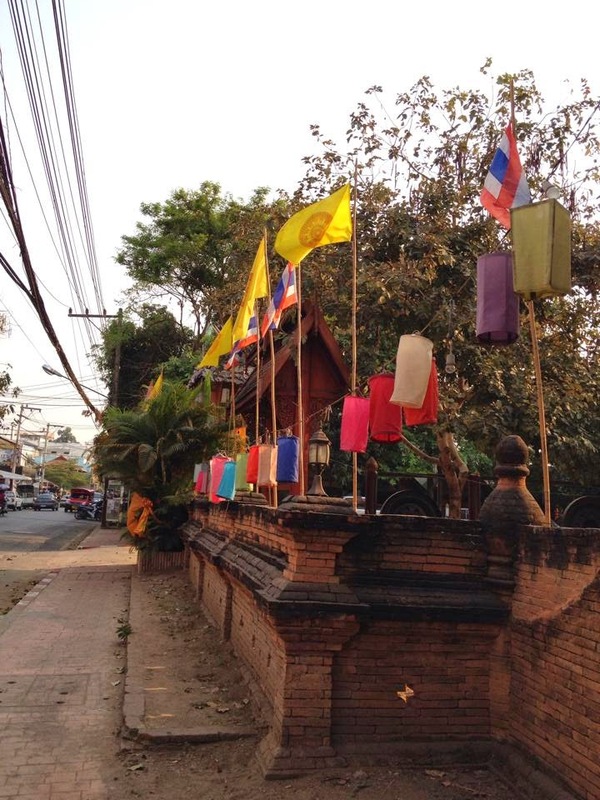 Chiang Mai is just a three hour plane flight from roughly one third of the world's population. It is not only a relatively safe location for international workers, but also a hub of many missions organizations. So much is (not was) happening in a place as seemingly dark as Asia. My overseas student teaching experience is technically over, with just paperwork to complete before I can graduate, but God's work in Chiang Mai, Thailand is not. My encouragement to people asking is to make the was question about the trip and the is question about the country, people, and work God is doing. The trip is over, but the country and God's work there, the people, memories, desires, cravings for local food, and relationships are not. At this point in the re-entry process, I am reflecting on this experience and learning from it as I compile everything I did during student teaching into a portfolio that demonstrates what I have learned about teaching. Processing the past three and a half months have been difficult, but rewarding, and I am so blessed to have enjoyed that time in Chiang Mai. As I write this, the sun is setting in front of me on the landing strip at Bangkok International Airport. I found one of those "free internet" kiosks - the ones where you don't look up your bank account information, but you do check your Facebook. Go figure. Anyway, I've been here since 3 or 4pm Bangkok time, and my flight leaves at 10:40pm Bangkok time, which is in less than four hours. I have four currencies in my wallet (but not much of any of them) and I've been awake since 5am. This will be flight number three out of four. It's a bit bewildering. As I sit here, I find myself feeling like I've crossed over into the "Stateside" side of this trip again. If you've followed my blog for long, you know that before I arrived in Chiang Mai, I titled my posts "Stateside Update" and a number. At this point (hours but not countries removed from Chiang Mai), I feel like I've somehow ended up back at "Stateside." The irony of this is that almost everything in my life comes full circle again. However, the truth is that even though I feel like I've returned to the beginning, I am definitely not the same person I was when I began. For one, I am intimately more aware of (even if I don't understand completely) the norms of Thai culture. I noticed this significantly when I arrived in Hong Kong for a five-day mini-vacation with my friend Michelle. Let's just say that Thai people are friendly, accomodating, and try not to walk in front of other people. Hong Kong people? Not so much. Even though I had been to Hong Kong in 2012, it was a different experience visiting after three months in Thailand. In addition, I gained the mentorship and friendship of many amazing people from all over the US and the world while I was serving in Chiang Mai. I also fell in love with 66+ teenagers, who just happen to be some of the greatest kids ever. I don't have favorites, but if I did, they would top my list. There are many more realizations soon to be made regarding this trip, but I think time is needed to process them. I may feel as if I have already made it back to "Stateside," but I am actually over twelve hours from arriving back in the states. It's okay, though, because God is good, and he gives us time and jet lag and airplane flights in order to begin to grieve the loss of one culture and role while we come to accept another culture and role. One thing I learned while I was in Chiang Mai is that physical and emotional distance provides clarity and objectivity. I prayed that distance from the states would provide clarity, and now I pray that distance from my three months in Chiang Mai would provide clarity. By this, I mean that I desire to look back and see God at work in my life during that time. I want to be able to trace, even minutely, growth and changes and memorable moments. God is good, and He is working all things together for good. I think it hit me today that I did not come to Chiang Mai for my benefit. Yes, I have benefitted greatly from this experience. I have grown so much professionally and personally. I have been challenged and encouraged every single day, but coming here was not for me. It was for the students with whom I have had the privilege of working. One of my fears in signing up for the program for overseas student teaching (POST) was that my students wouldn't like me. Even writing that makes me cringe. I have had more notes, hugs, compliments, and "thank you"s (in multiple languages) than I can count. Most recently, a ninth grader asked me to the school dance and a twelfth grader joked about getting my phone number. No matter how many times they annoy me, these kids have stolen my heart. And from their responses to my impending departure, I believe many of them have a place in their hearts for me. It is this "impending departure," however, that has me worried. Leaving and being left are common occurances in the lives of Third Culture Kids (all of my students are TCKs in some way or another), and I feared that my much-too-short time with them was perpetuating the painful reality of the transient world in which they live. Has it even been worth it? I asked my housemate and friend Becky today. I was afraid I had made their already tangled lives more difficult. Becky quickly countered my fear. They are richer for having known you and having been taught by you. She said. And you are richer for having known them and taught them. You know what? She is right. I used to despise the saying "It is better to have loved and lost than never loved at all." I got so upset when people would say it because I felt like it wasn't true. For all of its perks, love is incredibly painful. Why woud I go through all of that knowing it would all end in disaster? Yet, here I am, loving these kids and being willing to let them go. Sure, we'll be friends on Facebook when I officially finish student teaching, and we'll like each other's status about Thailand and jet lag, and we might see each other again because this world is a very small place, but my work here is done. That moment in time when I stood before 23 juniors and seniors and asked them to watch what they say because their words have power will never come again. That split second when I realized I had fallen in love with my 43 freshmen as they loved on Thai elementary school children is not going to happen the same way again. I could never get back those moments again, even though I will teach hundreds of teenagers in my lifetime. Am I depressed that I will never get this back again? No. I'm blessed. I'm rich with the experience and the memories and the lessons learned. Third Culture Kids who are able to process their experiences (with the help of parents, teachers, counselors, etc) are able to love and lose. It happens. It hurts. They know it because they've experienced it. They often struggle to deal with the grief (many TCKs often unheathily build up unresolved grief), but with help, they work through it. They are richer for having had the Third Culture Kid experience, and most are very proud of it. Losing hurts, but they loved and invested; they unpacked and planted trees. It is the relationships that make the experience worth it. TCKs lose much, but they gain so much more. I hope and pray that the too-short months I've spent with these precious students have somehow encouraged them. May they find God and his grace right where they struggle most. May they be motivated to keep on keeping on. May God's name be lifted and praised before mine is even remembered. He has great plans for them. "‘Missions’ is very simple. There are only two ministries in missions. You’re either called to go down into the well or you’re called to hold the rope for those that go down. Either way, there should be scars on your hands. Where are your scars? What has it cost you...?" "Africa. The inner city. The 'mission field.' - the place you live is just a place, after all. There are dishes to do there, too." Background: "Chiang Mai" by George Luo. Travel theme. Powered by Blogger.